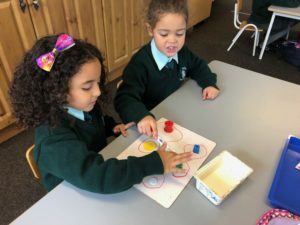 We are keeping a log of all the Maths activities we are doing this school year. 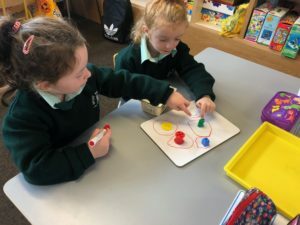 Click here to view Miss Murphy’s Junior Infants enjoying sorting activities. 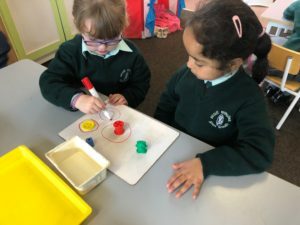 Click here to view Miss Mill’s First Class measuring and sorting. 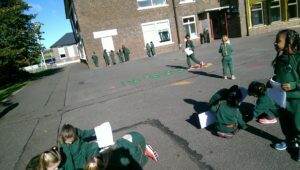 Click here to view Miss Mill’s First Class completing a Math Trail. 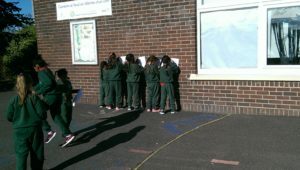 Click here to view 2nd Class exploring Length in the environment. 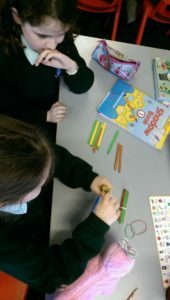 Having lots of fun measuring items in our class using our rulers and meter strips. 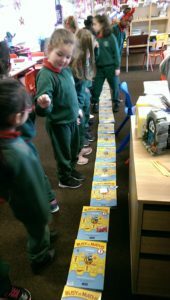 We always estimate the length first, then measure and compare our results! 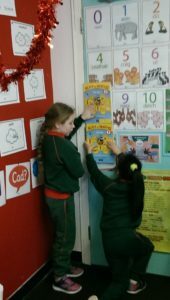 During Maths Week 2018 Ms. Mills First Class explored real live maths all around us by completing a maths trail. 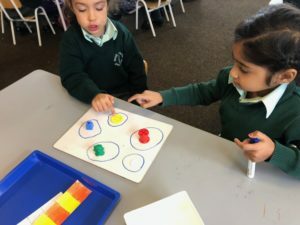 They found patterns, 2D and 3D shapes and found numbers in all different places! 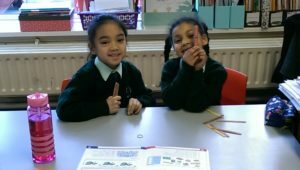 When it came to Measures the girls found that they could measure length with lots of different things like lollipop sticks and even their maths books. 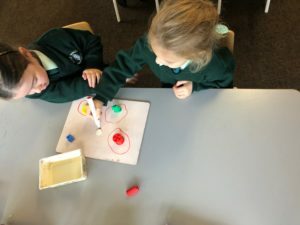 They made some great estimations before they measured things like doors, classroom width and length. 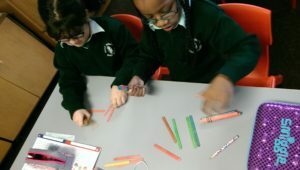 The girls using concrete objects (lollipop sticks) to investigate tens and units. 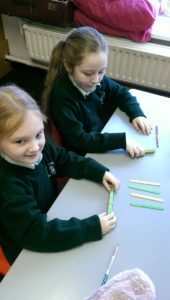 They made bundles of tens and counted the extra units.